You must have been living in a hole to not have heard Rachel Platten's international top 10 song of last summer, 'Fight Song'. But you may be surprised to learn that you've probably heard her voice before, as her previous singles have been used in a lot of TV shows, including Pretty Little Liars and ABC Family's Jane By Design. 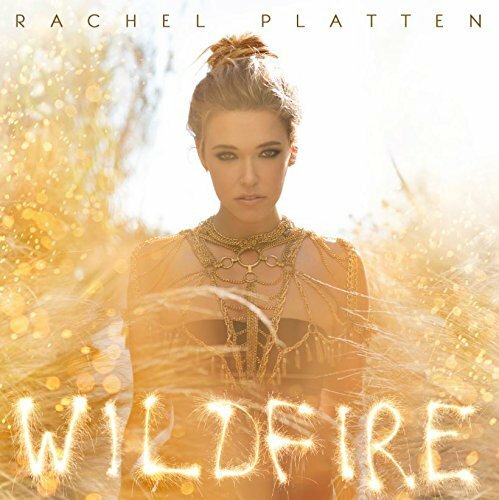 Her newest album Wildfire is more anticipated to-date and has a lot of expectation tied to it due to 'Fight Song' being such a huge success. Platten's latest single 'Stand By You' begins this album, another motivational Pop anthem for teens who need some hope to get through the hardships in life; like she's right next to you, fighting with you through your problems. 'Beating Me Up' is just the perfect song for a certain demographic - teens that have been heartbroken. That, 'Stand By You' and 'Fight Song' is about as good as it gets in terms of songs that don't make me cringe with their lyrics and failed experiments - 'Lone Ranger' is a perfect example of that, with lyrics such as "Fill me up with fireworks and tell me I'm skinny/I could soak up the fire in the buzz they give me", everyone must be so glad that it didn't end up on the radio, as it would labelled controversial for skinny-shaming. A good effort by Platten to create Pop that reaches out to everyone, but in fact is the perfect soundtrack for a teen drama flick, so if that opportunity arises, you'll know who to call for the music.